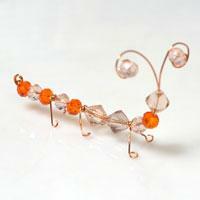 Do you like crystal caterpillar crafts? This tutorial is going to tell you how to make an ant craft for kids. Hope it will meet your taste. 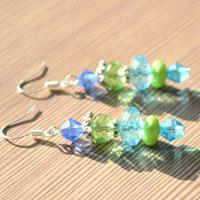 This project will guide you to make pair of twisted wire earrings with super easy wire wrapping technique! In 10 minutes, everything around can be a stunning jewelry accessory! 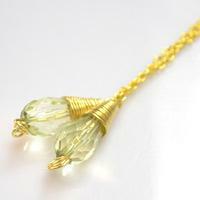 Do you want to make a dainty pendant necklace with simple wire wrapping techniques? This tutorial will meet your demand perfectly. 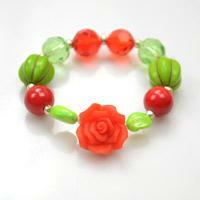 With diversified beads you can simply make a pretty bracelet for kids. 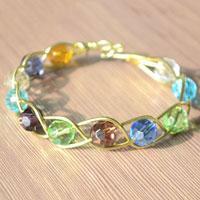 Click this tutorial to get the detailed information about this bracelet pattern. 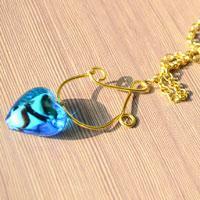 Mobile chain can make your phone more eye-catching. 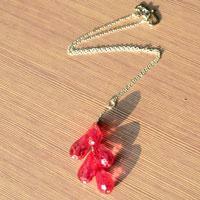 In this tutorial, we would like to teach you how to make red bead mobile chain. The finished project is very stunning. 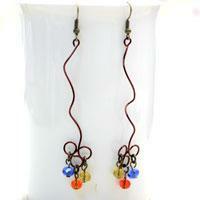 This fantastic braided wire and beads jewelry projects is the thing for you if you are seeking for a newly method to make creative handcrafts. This tutorial will teach you how to make a black beaded bowknot ring. I’m sure you won’t be baffled by this quick-to-learning ring. And this ring is very gorgeous. Do you have interest to make it? 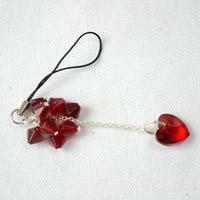 Red color can give people passion and always attract people’s attention. 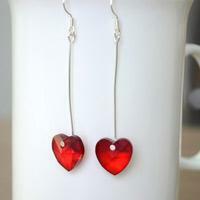 And this tutorial will teach you to make red heart earrings. They are very eye-catching. Letter bracelets are always with some special meanings. 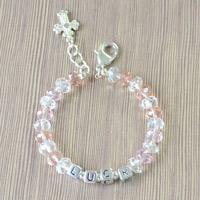 And you can make your special bracelet with the letter beads in pandahall.com. 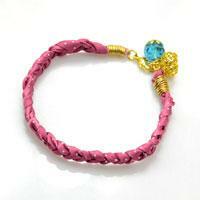 This tutorial will teach you how to make a charm bracelet for girls. If you want a special bracelet, you can think about it. 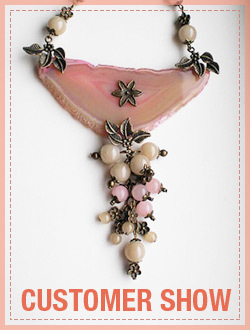 Do you like DIY jewelry? 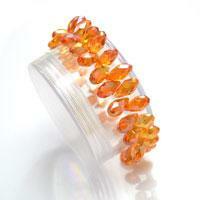 In this article, we will offer you an idea about designing simple bead bracelet patterns. 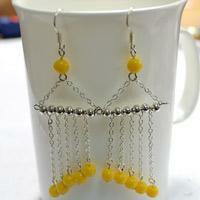 You can try to make some if you like this jewelry idea. Today’s jewelry making idea is about how to make necklace with beads and wire, hope you will this diy necklace tutorial. 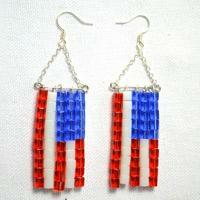 In this tutorial, we are going to make beaded American flag earrings. Don’t you think it is surprising? Follow our instruction to make them and you will find they are so cool.